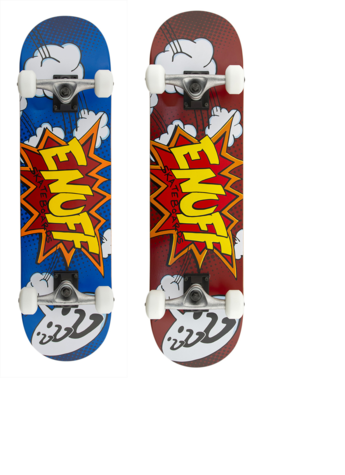 These Enuff POW skateboard are a great entry level board. With it`s traditionally shaped 8 ply deck made from Chinese maple. They have inspired comic graphic great for any age rider! 12.7cm Raw finish trucks along with 54mm wheel with ABEC 9 bearings makes for a smooth ride.